High spin washer extractor. Soft mounted. Grey skinplate body. Stainless steel drum and tub. 2 water inlets (hot and cold). These machines have electronic control of imbalance with frequency inverter, that detects the unbalanced load before spinning. Standard frequency: 50 - 60 Hz. New microprocessor TOUCH II with touch screen. 26 preset programs. Possibility of programming, exporting and importing programs without limit and software updates, through USB port, using USB drive. 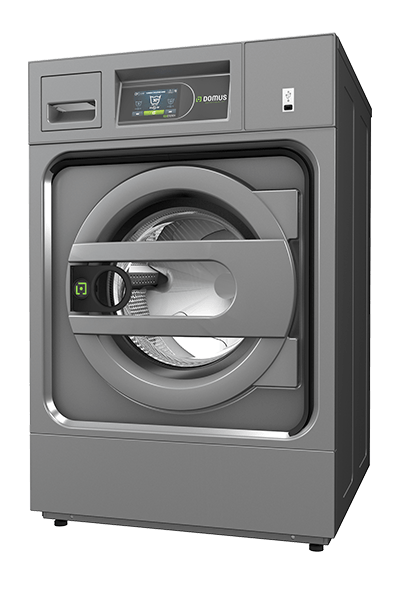 Traceability standard: All washing process (temperatures, water levels) is stored in the washer and can be extracted to a PC by means of a USB drive. 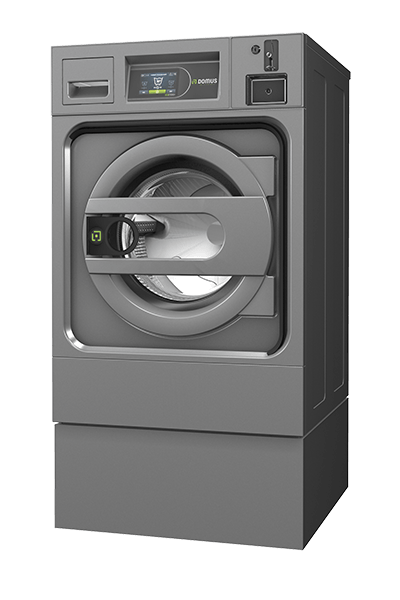 WET CLEANING standard in the microprocessor: fully adjustable water levels and washing speed for delicate linen. OPTIMAL LOADING standard to optimize water and chemicals consumption. LOADING AID feature with water and rotation control for easy loading of the linen. Model with drain valve and model with drain pump. Valve models especially designed for washing mops. Self-service version available with coin meter. Relay card with 6 extra dosing signals: up to 14 signals. AISI 304 stainless steel panels. Delayed door opening in case of power outage. Self-service kits: Central pay with coin/token kit + box. Double drain (only valve models). Valve to pump model kit. Plinth for mops (filter included) - only valve models. Plinth with tank for water recovery.